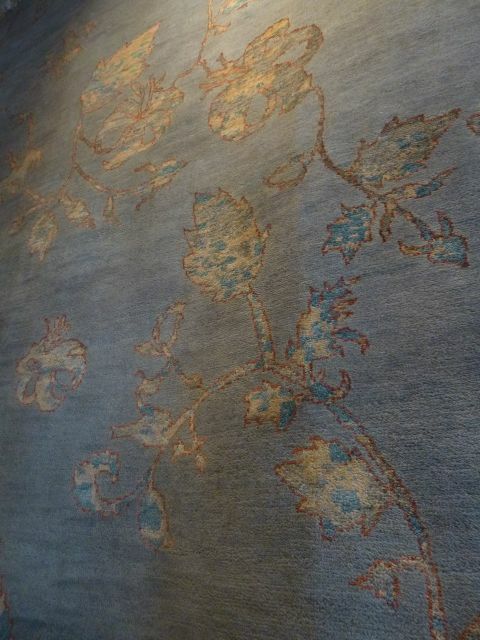 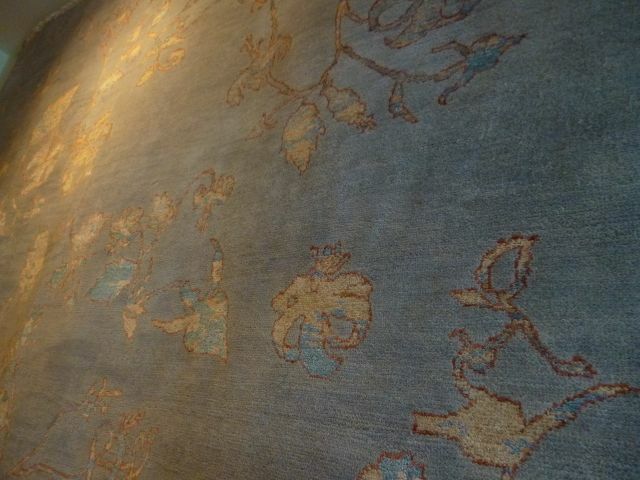 Large, exquisite Muted blue/grey custom made transitional rug in fine wool with silk highlights within floral theme. 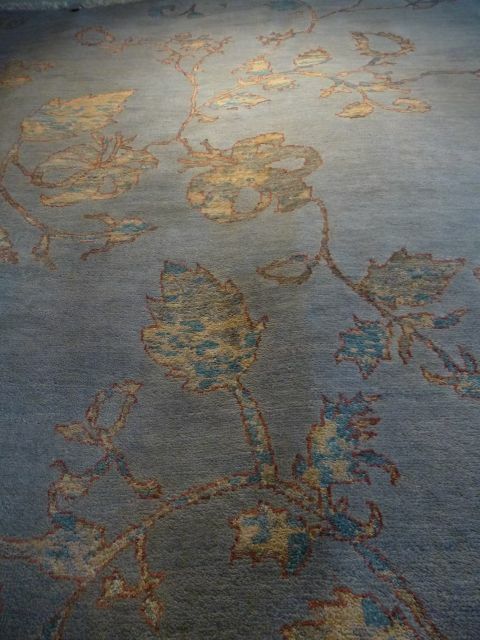 This rug is gorgeous and can be used in a formal or informal setting with ease. 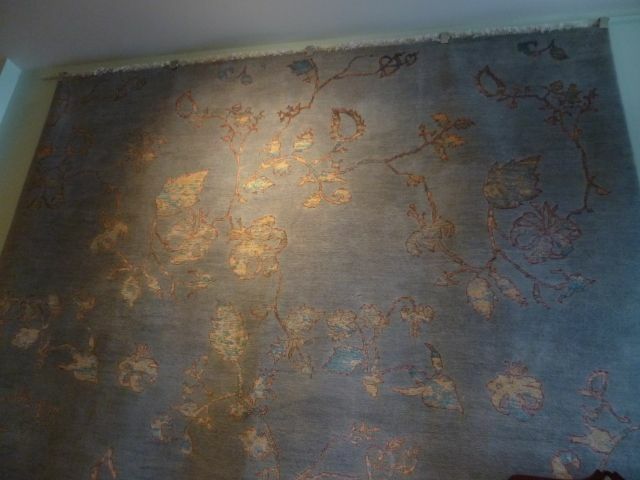 Refined yet understated.